To become immortal Blues musician Eugene Burns sold his soul to the devil, had his guitar possessed by the demon Astaroth and went on to perform his deadly music for all eternity. That is at least until the 70’s when a preacher captures him but is unable to save his soul. Instead he traps Eugene, hides his guitar and conceals his murderous final album known as the “Ghost Note” thus protecting the world. Now, in the present day, we meet Mallory (Alicia Underwood) who is staying at her grandmothers whilst her parents go on holiday without her. Upset by this she goes poking around in her grandmothers’ attic and comes across Eugene’s possessed guitar. 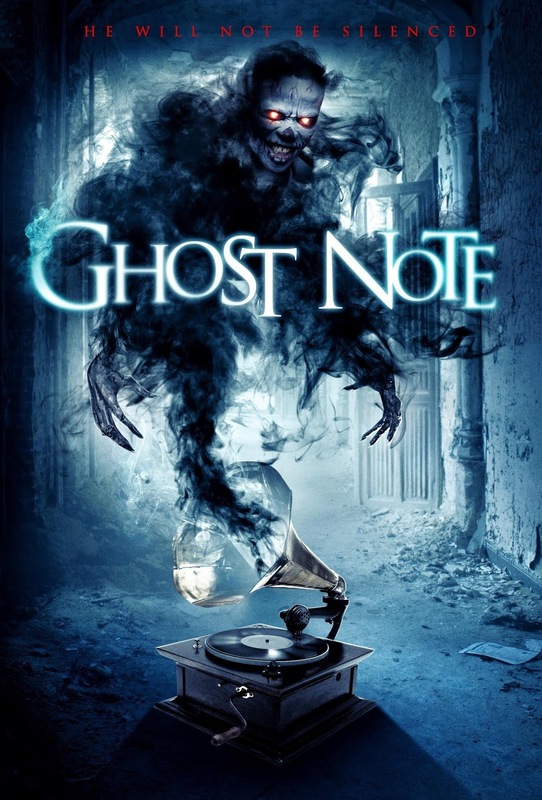 When she meets up with her childhood friend Rodney (Justin Duncan) they discover Mallory’s family connection to what happened to Eugene and discover the “Ghost Note” album which leads to Eugene being released. With new found knowledge of her Grandfather and her own Wiccan connections they try to defeat Eugene for good. This starts off really quite well and I enjoyed the character of Eugene (Kenny Gardner) but unfortunately as it goes on it gets really tedious and should quite easily have been cut down a lot as it really did drag. The rest of the cast were largely boring and unlikeable with Alicia Underwood’s acting ranging from hideous to obnoxious. Aside from the acting the rest of the movie is okay, not masses of gore but the special effects are adequate. The soundtrack is probably the best thing about it featuring plenty of Blues and a few other quite good tunes, however Justin Duncan performs a cringe worthy love song which will make you recoil in horror probably more than you will during the rest of the movie. I really liked the thought behind the story in this but the execution lets it down. It is way too slow going to provide any real scares and is instantly forgettable.